Our youth sports player pathway aligns with American Development Model (ADM) principles which stress the importance of age-appropriate activities that emphasize motor and foundational skill development, multi-sport participation, as well as a progressively challenging atmosphere. To learn more about each of the programs in the pathway, click the icons below. We believe sports change lives. Our programs align with the American Development Model (ADM) created by the U.S. Olympic Committee to help individuals realize their full athletic potential and utilize sport as a path toward an active and healthy lifestyle. We use sports as a vehicle for teaching academic lessons. Students participate in interactive STEAM Labs that allow them to explore and relate concepts such as gravity, aerodynamics, and simple machines through the sports they are playing. Playing sports helps develop communication and social skills and our coaches use teachable moments to promote sportsmanship, perseverance, and leadership qualities. TGA brings our acclaimed enrichment programs to the places your children already spend time: schools, community centers, parks & recreation facilities, childcare centers, and more. Classes are before or after the school day and our station-based format keeps students engaged and active as they learn. Students are active throughout class participating in a dynamic warm-up, skill developments drills, and games or performances. 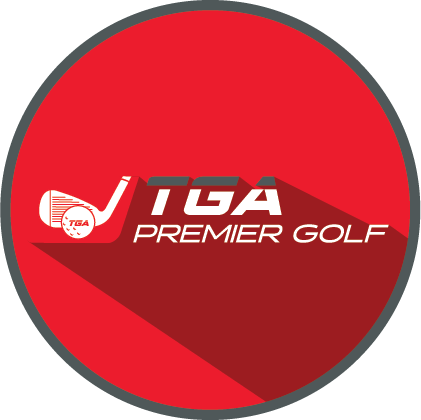 TGA provides all equipment making it easy for everyone to participate. Students rotate through drills and activities that develop core skills and understanding of the sport rules and etiquette. Students participate in interactive labs to explore academic concepts such as gravity, force, and spin through sports. Coaches promote important life lessons including sportsmanship, perseverance, and leadership. To learn more about each of our enrichment programs, click the sport icon below. Jump into cheerleading class and discover how fun and exciting cheerleading can be with TGA! Maximum student to coach ratio of 12:1 maintains a safe and fun environment. Coaches lead students through station-based drills and activities that develop the fundamental skills of tumbling, stunting, choreography, motions, jumps, and performance. Students participate in STEAM labs that allow them to explore academic concepts like gravity, balance, and aerodynamics through cheerleading. Learn new choreography and cheers each session. Kick it off with this modified version of America’s game that makes it fun and exciting to play with TGA! There is a strict no-contact rule to maintain all player’s safety. Coaches lead students through station-based drills and games that develop the fundamental skills of passing, catching, running, and defending. Students participate in STEAM labs that allow them to explore academic concepts like gravity, compression, and aerodynamics through the game. Take your best shot and discover how fun and exciting playing floor hockey can be with TGA! Coaches lead students through station-based drills and games that develop the fundamental skills of dribbling, passing, shooting, defending, and goal keeping. Students participate in STEAM labs that allow them to explore academic concepts like friction, angles, and force through the sport. Tee it up at golf class and discover how fun and exciting golf can be with TGA! Maximum student to coach ratio of 10:1 maintains a safe and fun environment. Coaches lead students through station-based drills and games that develop the fundamental skills of grip, putting, chipping and full-swing. Students participate in STEAM labs that allow them to explore academic concepts like gravity, force, and spin through the game. Golf is an individualistic sport so each player progresses through our five level program at their own pace – click on each color level below for additional details. Catch the LAX fever with TGA and discover why Lacrosse is one of the fastest growing youth sports! Coaches lead students through station-based drills and games that develop the fundamental skills of passing, catching, defending, and goal keeping. Students participate in STEAM labs that allow them to explore academic concepts like gravity, force, and angles through the game. 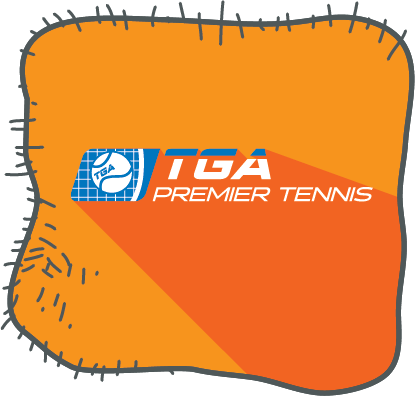 Serve it up with tennis class and discover how fun and exciting tennis can be with TGA! Coaches lead students through station-based drills and games that develop the fundamental skills of grip, forehand, backhand, volley, and serve. Tennis is an individualistic sport so each player progresses through our five level program at their own pace – click on each color level below for additional details. 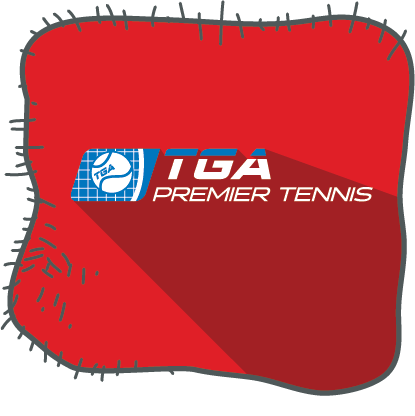 TGA utilizes the USTA’s “Tennis Sized Right” guidelines for youth tennis equipment and courts that are tailored to the size and ability of children’s bodies to allow for quicker success and enjoyment of the game. As players grow physically and develop stronger skills, they advance to playing on courts and with equipment that gets progressively closer to standardized tennis. Reduced compression balls bounce lower and move slower. 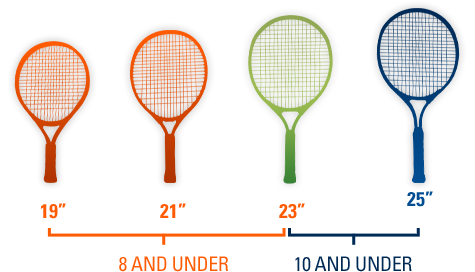 Youth racquets have smaller grips so they're easier to hold and swing. Courts are smaller so kids can cover more ground and make more shots. Discover the Spirit of the Game and how fun and exciting Ultimate Frisbee can be with TGA! Coaches lead students through station-based drills and games that develop the fundamental skills of throwing, catching, and marking. Students participate in STEAM labs that allow them to explore academic concepts like gravity, spin, and aerodynamics through the game. Serve it up with us and discover how fun and exciting volleyball can be with TGA! Coaches lead students through station-based drills and games that develop the fundamental skills of passing, setting, serving, spiking, and blocking. Students participate in STEAM labs that allow them to explore academic concepts like gravity, friction, and reaction time through the game. TGA Play Days are an opportunity for developing athletes to experience social and competitive aspects of sports in a low-pressure setting. The emphasis is on fun and safety as players get a chance to put their skills and knowledge into play. Play Days are the second point on our player pathway because they are a great next step for anyone who had participated in a TGA Enrichment Program or any young athlete who wants to continue developing their game through organized play. "TGA is very organized, communication is very good, teachers are knowledgeable and relate well to the children. I appreciate that there was foundational knowledge about the rules of the game in addition to the skill development and they taught the children importance of warm ups before exercise. Lifelong skills are being cultivated." 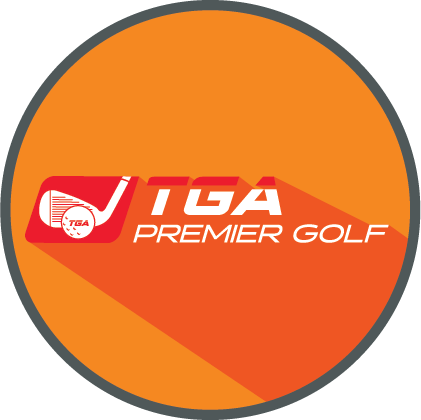 TGA Premier Sports Camps o­ffer an unforgettable experience for your child by combining athletic skill development activities, academic lessons related to sports, and life lessons in perseverance, sportsmanship, and leadership. Our dedicated coaching sta­ff help campers advance their skills, knowledge, and passion for the sports while they build friendships and life-long memories. Premier Camps – Focus on develop campers’ skills, knowledge, and passion in one specific sport through specialized instruction and play. Premier Plus Camps – Allow campers to explore and play multiple sports within the same camp to develop their overall athletic abilities, understanding, and enjoyment of sports. "My son had a great week at camp. Everyday he came home with a fun story to tell or positive feedback to share about accomplishments that day. The coaches relate well with the kids. They seem to have positive attitude and enjoy what they are doing." 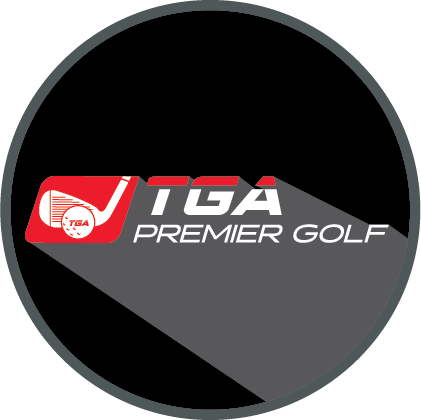 TGA Premier Sports Leagues are the perfect opportunity for established and developing athletes to practice and play in a low-pressure setting that is local and convenient. League opportunities vary by location so click below to browse available options or contact your local chapter director for more information. "I like the staff to student ratio (i.e. small groups), and I like the character-building aspect of the curriculum. I like how the learning of new skills became fun activities. Enthusiastic, upbeat, friendly, and knowledgeable teachers!" Private Lessons – perfect for young athletes looking to take their game to the next level through 1-on-1 coaching. Youth Clinics – a great opportunity for players to get additional instruction and practice time in a group setting. Family Sports Events – a chance for the whole family to get involved and play together. Sports-Themed Parties – perfect for birthdays, graduation or any other celebratory event for the youth athlete in your life. Does my child need golf experience to take a TGA afterschool golf class? No previous golf experience is necessary. This youth development program is designed to introduce PK-8th grade students to golf on their school campuses with age appropriate instruction that is dynamic and retainable. The curriculum was designed by golf professionals and education experts to include lesson plans that are fun, safe and effective. Does my child need his/her own golf clubs to participate in a TGA afterschool golf class? No, TGA will provide all necessary equipment including appropriately sized clubs, reduced-flight safe golf balls, mats, props and any additional materials. What will my child learn in a TGA class? The TGA curriculum has been honed by leading golf and education specialists to include a mix of educational components, physical fitness and golf skills, character development initiatives and life lessons. Each member of the coaching staff is screened and certified to help guide your child through the five levels of the TGA program. For more information on each level, visit the After School Enrichment section above. Classes are conducted year-round, indoors and out, on concrete or grass, depending on the space available at each location. Specific class details can be found when you click the "Sign Up Today" button. Does my child need to bring/wear anything specific to TGA golf class? Each week students are encouraged to bring their TGA student handbook and TGA hat, both of which are provided as a part of the Yellow Level. What are the age ranges for the league? 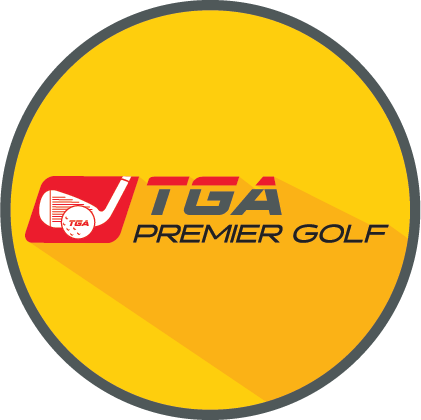 Most TGA Golf leagues are open to students between 6 and 15 years of age. In some cases, the golf courses we partner with impose additional age restrictions. Check out the specific age requirements for the league you're interested in by clicking "Sign Up Today" to view the event details. Can my child play with their friend? We will do or best to accommodate requests. Please contact the Chapter Director with any pairing requests once you complete your registration. My child has not attended a TGA after school program, are they able to participate? Absolutely! We do ask that each child has learned the fundamentals including grip, stance and swing and have a general understanding of the golf course before signing up for a league. Please contact your Chapter Director if you have any questions or would like to find out how your child can become ready to participate in the league. Will my child play in every event? Yes, and they have the opportunity to contribute with nearly every shot. How long will an event take? Each match is 9 holes, and should take between two and three hours. Please arrive at least 15 minutes before your scheduled tee time. Will I be able to spectate? Most facilities allow spectators. Please be aware of play occurring around you. Can I caddie for my child? Yes. We encourage parents to caddy for their children. Can I assist with the league administration? Yes, each team will have a parent volunteer coach who is responsible for a four-player team. Please contact your Chapter Director for more information. 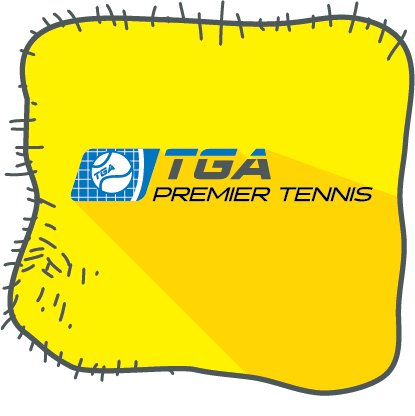 Does my child need tennis experience to take a TGA Tennis Enrichment class? No previous tennis experience is necessary. This youth development program is designed to introduce PK-8th grade students to tennis with age appropriate instruction that is dynamic and retainable. The curriculum was designed by tennis professionals and education experts to include lesson plans that are fun, safe and effective. Does my child need his/her own tennis racquet to participate in a TGA tennis enrichment class? 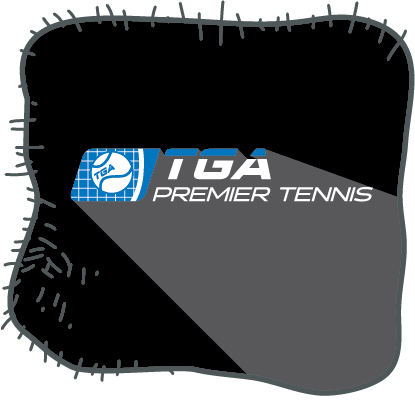 No, TGA will provide all necessary equipment including appropriately sized racquets and nets, reduced-compression balls, and any additional materials. Students will experience tennis instruction, a mix of educational components, physical activity, character development initiatives and life lessons as they participate in TGA’s curriculum that has been honed by the USTA and education specialists. Whether your student is participating in TGA’s 5 level instruction based elementary school program or our play based middle school program, each member of TGA’s coaching staff is screened and certified to help guide your student athlete to becoming an avid tennis player. Classes are conducted year-round, indoors and out, on any hard surface at schools, community centers. TGA supplies all of the equipment necessary to create tennis courts in virtually any space. Does my child need to bring/wear anything specific to TGA tennis class? Students should wear comfortable clothes and closed-toe shoes to class. All other equipment will be provided and students will receive a TGA hat and color-coded wristband for the level that have completed at the end of the session.